Now I know you were all expecting Part III of my EXCLUSIVE interview with Family Feud Executive Producer Pam Barnes tonight… well don’t panic, it’ll be along shortly. It WILL be posted tonight. 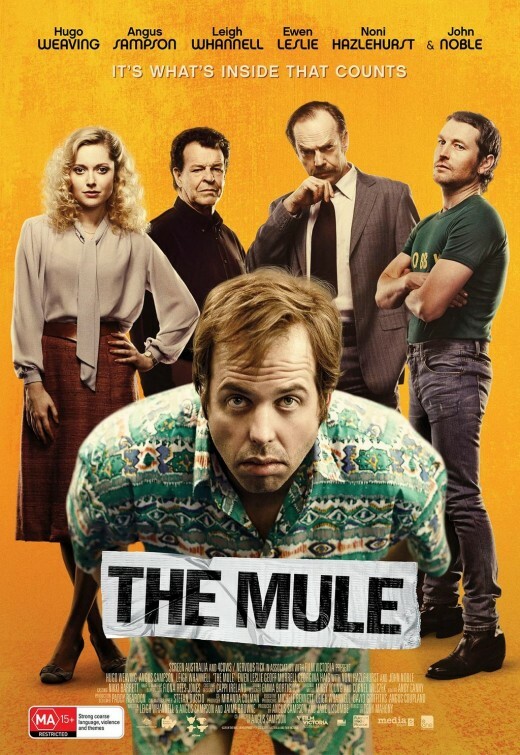 I find this incredibly inspirational… my friend Angus Sampson has co-written, co-directed and starred in the brand new Australian movie ‘The Mule’. I went to a screening last night and I can tell you it’s a top-notch thriller, with sensational performances right across the board. As well as Angus, it stars HUGO WEAVING, Noni Hazlehurst, Leigh Whannell (Saw, who co-wrote the screenplay with Angus) and John Noble (Lord of the Rings). 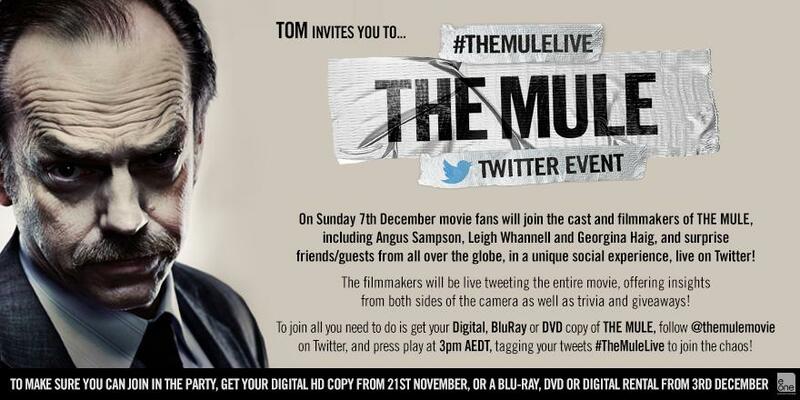 They’re also having a live World Premiere / global Twitter event this Sunday. If you can, please get behind this suspenseful, moving, funny, disturbing film, which was created and distributed with the audience in mind! A word of warning, though – it’s definitely NOT suitable for children….